How do I disable outdated and vulnerable ciphers on windows server without affecting RDP and Plesk access? 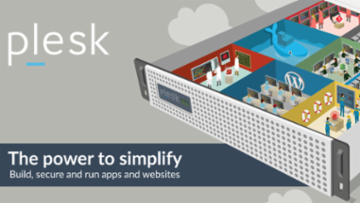 I have a Windows Server 2016 hosted on AWS EC2 using Plesk Onyx as a hosting control panel. It is a shared server and hosts multiple websites. It is also a requirement to disable TLS 1.1. 3. Disabling the ciphers and TLS 1.1 will cause issues for visitors using Windows XP or outdated browsers. I'm not too concerned about the last issue but am very concerned about not being able to access RDP and Plesk. Indeed applying these changes will likely lock me out of my server completely which can only be resolved through direct physical server access. Is anyone aware of a workaround to resolve these issues? If need be we will consider a dedicated server just to satisfy our PCI compliant websites. We're having issues with a client's Wordpress web site that we've 'adopted'. This site worked fine but we've installed a new theme and we're having issues with it. It works fine on our testing server which happens to be a Cpanel-based host. However, when placed on our live server (Plesk) it throws errors on and off (a bit randomly, it seems). Lots of Googling has been done but we've not found a solution yet. Any ideas we can look at would be appreciated please! I have ubuntu 14.04 server with plesk web admin on it. - when I access a php web service sometimes they dont work, and after recalling it it work perfectly. - when I download a file on server form http, it freuqet get disconnected. Any idea on how to solve these issues? 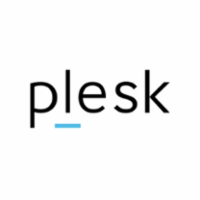 I am running a Windows 2016 server with Plesk and as part of the Plesk statistics I am able to capture the bandwidth of each hosted website and produce monthly reports. Is there a way in which I can capture average CPU usage of websites and produce reports in a similar manner? I can only do so in real time but I would like this captured for use in my monthly reports. Perhaps an ideal statistic is to log how many times the CPU goes over a specific percentage CPU threshold. I have tried a number of times to reduce the size of my EBS volume. I keep running into problems. I have managed to copy all the files over from the old server to the new using the instructions here (https://superuser.com/questions/1123799/how-to-decrease-size-the-ebs-root-volume-of-the-rhel-instance-in-aws) - as well as similar other guides. When I attach the new volume to the instance as /dev/sda1 it does not load. I cannot connect to it using SSH and websites do not load. I am at a loss now. I have tried so many times. I made a mistake making my initial EBS volume size way too big and it is costing me quite a bit of money every day. I am unsure if the problem is because I am formatting my drive is XFS. This was the format of the original drive when I first set up the instance. I have not been able to find a guide that details how to shrink an EBS volume that is formatted in XFS, they are all for ext4. If any one could provide some assistance that would be much appreciated.